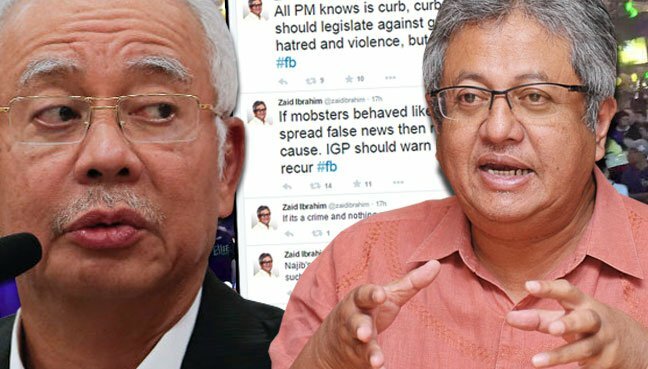 IT'S TOFFEE'S TURN: Zaid's call to rally on March 27th must be Apolitical. Zaid's call to rally on March 27th must be Apolitical. Zaid Ibrahim has proposed that a gathering be held on March 27 to call for Prime Minister Najib Abdul Razak’s resignation. The time is ripe for the people to get the the Prime Minister to step down from office, after all the people did tell him that at the last elections when he lost the popular vote, but because of our electoral process he remained, and many accuse him of having gained the upper hand by gerrymandering. It is obvious that the country is not being managed, it is being damaged instead, we are in the throngs of destroying everything we have gained since independence unless we as "A People" stand together and get back control of our beloved country. Don't give me your finger!! This is a must, we have reached the stage where many or the majority who sit in high political office, who are aware of what is really going on, ignore it and its implications to the Nation at large in order to serve their own selfish personal interests of material gain and repentantly continue to defend what apparently looks like the "compromised office of the Prime Minister". UMNO's very existence will depend on its presence at the rally. Do not expect MCA and MIC to participate, do not expect any other BN component to participate if the people in UMNO refuse to. We do not need the whole of UMNO but we need a significant portion of UMNO there and when that happens then branches of MCA and MIC men will join the fray and if not driven by national sentiments by the want of political gain at least, which is an inherent part of the DNA of members of these parties. to break ranks and step forward. members, men and woman who will come forward for this rally in numbers, carrying the UMNO banners in significant numbers and I believe there are many, but they should not wait for bus fares or hired buses, and free hotels and free meals, it has to be an effort of the heart, if that happens we'll get our country back intact. There are already UMNO branches that have broken ranks with Najib, the momentum can take shape there, then there are professionals in UMNO who will step forward, these young men are serious and are willing to make that sacrifice for the nation they are not materialistically motivated, I am sure they will be there but if the leaders come in they will bring the banners along, and as these numbers show up many more will join the ranks, if UMNO Malays are truly interested in the well-being of the nation they have to stand up and be counted. 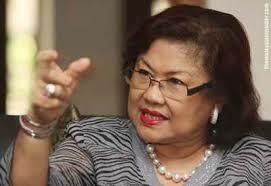 a resentment for Najib and Rosmah among many of the wanita and they need a leader up front. Being Malaysians, we all know only too well, that there are many Malaysians out there who will sit this out on their armchairs, probably watching what is going on on telly, hoping things will change for the better. To these armchair Malaysian I say, "Get up and join the rally!!!" things will change if you do, and things will not if you continue with your indifference. it is your indifference that has allowed this government to carry on the way it is. THIS SHOULD BE A MALAYSIAN EFFORT. What will really make a difference is if members of the Judiciary, the legal profession other professional bodies, Doctors, Teachers, Civil Servants, the business communities, the banks and people from all walks of life turn up for this rally. Now more than ever the UMNO Malay and the rest of Malaysians are being asked to prove their loyalty to the Nation, and not to an individual who has no regard for the people, who has left many questions on his integrity be answered by individuals close to him, in what looks like a game of bluff where if what that individual says is proved a lie or wrong another bluff crops up. First we had the story of a "Donation" from an individual, then we had his deputy tell us he met the donor, later we heard that it was the late King of Saudi Arabia who was dead at the time he claimed to have met the donor, then it what looks like an excellent effort of a huge Public Relations effort the Attorney General and the BBC came out at about the same time announcing that the PM was cleared and that there was no case to answer. The Attorney General has a lot to answer for, he has failed to allow release thee MACC report and set it aside just saying the PM has no case to answer, and now in the face that the Saudi authorities themselves have said that no such "Donation" was made, the Attorney General and the Prime Minister himself owes it to the people to give us an explanation. 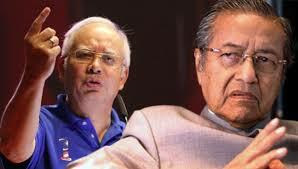 Explanations are not rare with this Prime Minister, explanations that demand only more explanations are common place, in the eyes of the people his integrity is in question and if that integrity of the Prime Minster is in question Malaysians are in serious trouble. We are talking about just a singular incident there are countless, Mahathir has made allegations that really look blatant including allegations of murder, but Mahathir has not been taken to task and there are criminal and corruption allegations made out against this PM that has been left in limbo with the flimsiest of excuses and just set aside. This is serious when it involves the office of the PM and the whole world is now watching this PM and even his family. 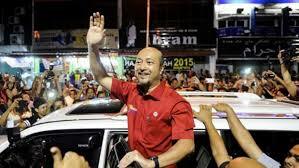 name of his own wife, now does that not leave very serious questions of the dealing of the house of Najib Razak? We have to reshape the politics of our nation and in doing so absolute integrity is of utmost importance and in the aftermath of this rally which if properly managed should be significantly attended the success of which will be measured by calling for a total accountability of all the allegations made out against the present leadership. 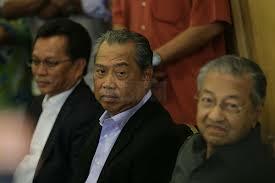 The transition after Najib has to be thought off, we just can't jump from the frying pan into the fire, we must learn from our past mistakes, many created by Mahathir himself. to the extent that it was so easy to corrupt UMNO to the chore and that is what we see here today. Even UMNO rules have to go back to what it was pre UMNO Baru. A cleansing of all offices that have been compromised and a rebirth of a new nation under God and the King where power will rest entirely wit the people. Did Apandi dig Najib's grave? The war of the titans - which will you choose? 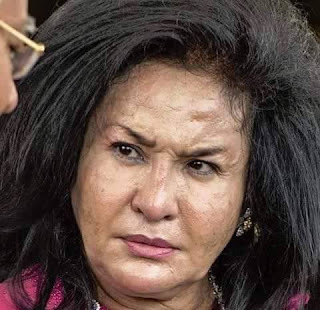 Tapi kalau betul padan muka najib and geng. Dlm screen tu menunjukkan najib tgh berucap...yang pasti kesalahan harus diletakkan kepada Tun mahathir!! !